Live view from Waikiki Beach. 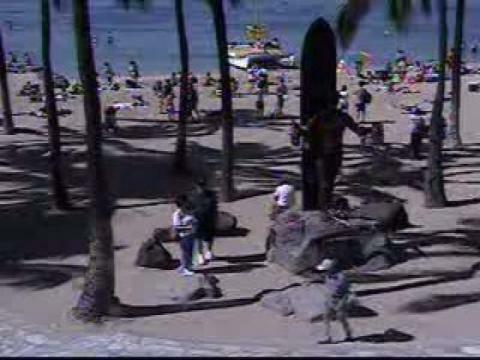 This webcam is located in front of the famous statue of Duke Kahanamoku. The swimming Olympic Champion in 1920 is considered the creator of modern surfing.